Excellent Condition, CARFAX 1-Owner. 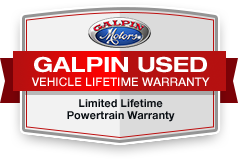 FORD CERTIFIED PRE-OWNED. All figures are EPA estimates. Actual mileage will vary. Kelly Blue Book values are calculated based on the current Retail Book. Pricing analysis performed on 3/25/2019. Fuel economy calculations based on original manufacturer data for trim engine configuration. Please confirm the accuracy of the included equipment by calling us prior to purchase.